The studio is split into 3 separate studio areas. Studio 1, Studio 2 and yes...... Studio 3. Studio 1 is the main upstairs area with a large white scoop ( 4 metres high by 5 meters wide..no more photoshop required above the model ). There is also a wood floor area with white brick wall and another raised level that is railed off from the rest of the room. The ceiling is vaulted, (about 8-10 metres) so head room is never a concern. On the raised section there is also a window that looks through into studio 3. 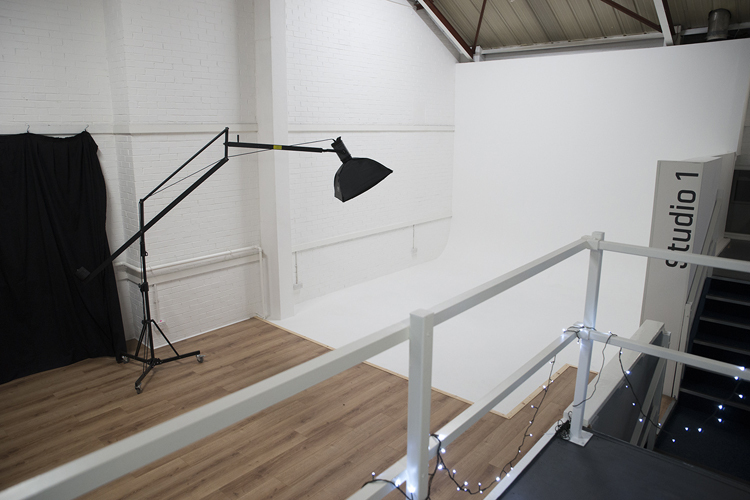 Studio 2 is a large area downstairs with various backgrounds and options. We built a custom staged area for the colour rolls, a huge black background area that also covers with an industrial style roller shutter. There a some coloured brick sections and a pallet wood wall all easily accessible in this one space. This area although being large is capable of going into complete darkness. 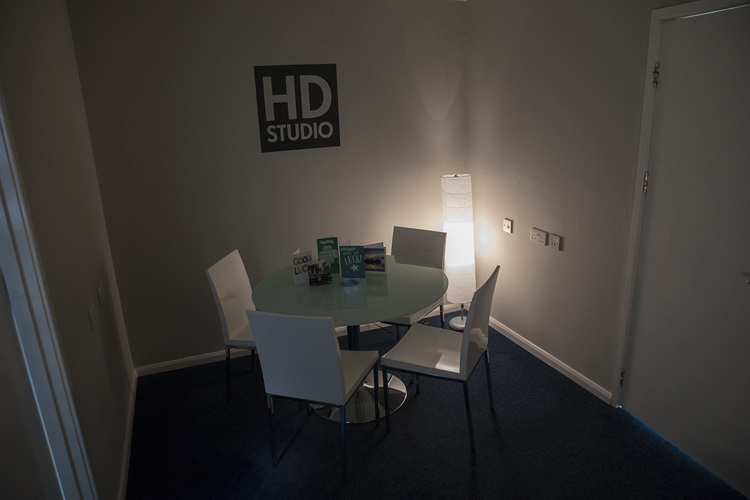 Studio 3 is our smaller natural light room. It has beautiful clean white walls with six windows running down one side and the window to view through to studio 1 is opposite. This room through the day gives beautiful natural light portraits. The natural looking wood floor is also an added feature giving the room a very comfortable minimalist feel. Equipment: Most of the lighting we have is Bowens. There are 9 Bowens heads in total. 400w, 500w, 1000w. There are also Lencarta and others available too. 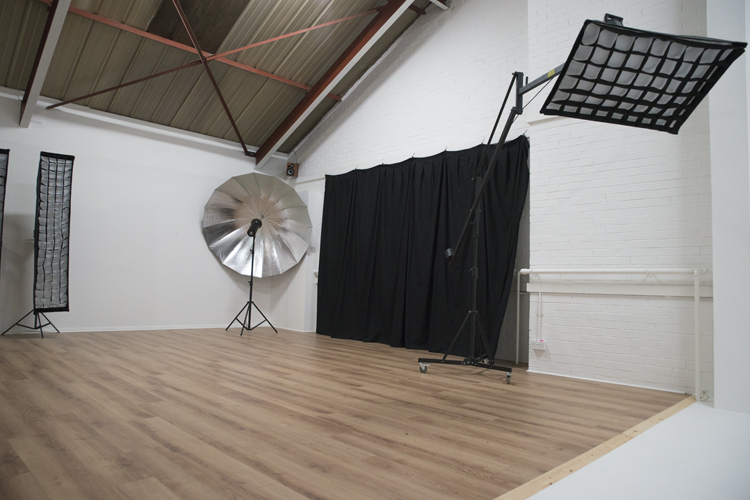 We have all the modifiers you could wish for..Softboxes, Octaboxes, Beauty Dishes, Umbrellas, Snoots, reflectors etc.